Karts. Nitro. Action! SuperTuxKart is a 3D Open Source arcade kart racer with multiple characters, tracks and modes you can play. Beat the evil Nolok by any means necessary, and make the mascot kingdom safe once again! We want to make the game fun more than we want to make it realistic. You can play with up to 4 friends on one PC, race against each other or just try to beat the computer (a network multiplayer feature is under development). Lol dude same except I played it on WXP. I played hours a long time before and now i can play again. mira we, anda bien agustin iturbide acostado en el sillon viendo unos momazos, y de la nada me dieron 8 ataques epilepticos y despues fui con un espesialista en el tema, me diagnostico con epilepsia en el homunculo y la unica cura es jugar super tux kart, y aqui me ves. 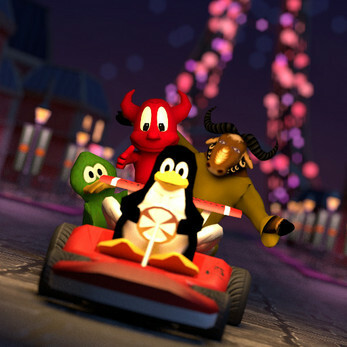 The best Mario/Crash kart kind of game for PC - and it's free as in freedom, too! I think I've played this elsewhere already. Hm. It's looking good guys. I'm really impressed with this and myself and the kids will be playing endlessly. One of the best free kart racing games!